HÀ NỘI — The business community wants the general departments of Taxation and Customs to carefully consider reforms on tax and customs procedures, so as to create the most favourable business conditions for enterprises. At a dialogue between the Ministry of Finance (MoF) and the Việt Nam Chamber of Commerce (VCCI) held in Hà Nội yesterday, VCCI Vice Chairman Đoàn Duy Khương said although the reform of tax and customs policies has been hastened to help businesses, some provisions in tax and customs laws are being changed so quickly that businesses can hardly keep track. Businesses have even complained that they were unaware of some amended decrees and circulars on tax and customs as they were adjusted too many times and too quickly, Khương said. “This hinders businesses from catching up with changes in tax and customs policies. Regulations and guidelines on tax and customs are out of sync in many different circulars and decrees issued across various years, causing confusion for businesses in the application of tax and customs laws,” he said. The large amount in fines for late tax payment was another problem faced by businesses. Tax authorities should consider reducing fines for late payment by evaluating them on a case by case basis. Tax authorities nationwide have applied information technology (IT) to help improve administrative procedures. However, many enterprises said that they were still encountering problems, Khương said. “Several businesses are still reporting issues with online tax payments, and the technical glitches during each transaction are costing them time and money. 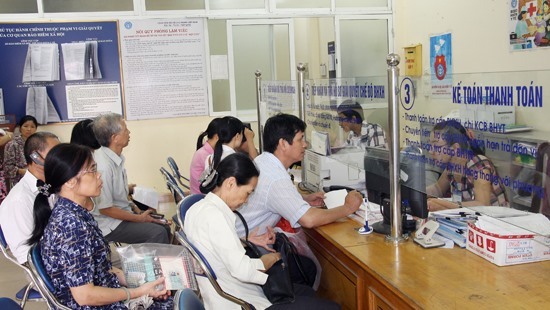 Although online software has been upgraded to support tax procedures, there are still errors with the online system, decelerating the steps of tax filing, registration and payments,” said Khương. Khương added that enterprises wish that the tax inspection and examination procedures would be hastened and simplified, creating more favourable conditions for them to develop. Regarding the customs sector, the administrative handling processes are occasionally inefficient. In some cases, there is little coordination between customs authorities and related agencies, affecting the operation of enterprises, he said. The VCCI suggested that the MoF, as well as general departments of customs and taxation, continue to review and amend related legal documents to ensure they are appropriate with global integration trends and the country’s economic development, and contribute to removing difficulties for businesses, coupled with efforts for simplifying tax and customs procedures. The MoF should welcome all comments from businesses which would contribute significantly to improving policies and broadening dialogues with businesses, aimed at providing them with updates to address their difficulties, the VCCI said. MoF’s Deputy Minister Vũ Thị Mai said that in the future, the MoF will continue to step up measures to restructure the state budget to ensure the safety and sustainability of the national financial system and stabilise the economy.